Fire is easily one of the biggest hazards in any home or office, and when every inch of space is limited and used (especially with flammable materials), it’s important take safety precautions in case of a fire. This is where your alarm system comes in. Why a Fire Alarm System? While a fire extinguisher is great to have (and is required in many cases, especially for larger buildings or ones made of combustible material), there is only so much that they can cover. 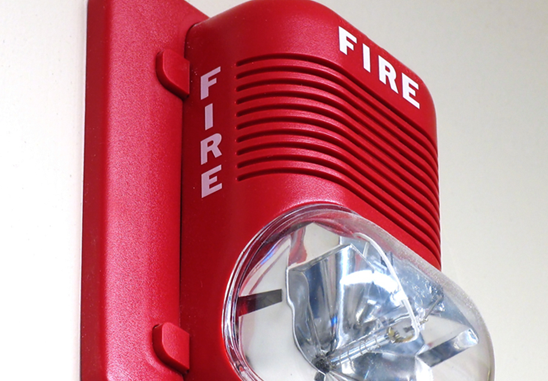 To get the most of your fire safety, your best choice is to invest in a working alarm system. •	Control Panel – This allows you to monitor your whole alarm system, as well as control and observe its output. •	Power supply (primary) – Your primary power supply is issued by your local power company, and comes with a back-up in case of emergency. •	Power supply (secondary) – This back-up system consists of lead-acid batteries that power your fire alarm system in the case of a power outage. •	Initiation devices – These are your pull stations, smoke detectors, and thermal sensors that signal your notification appliances. •	Notification appliances – These are your strobe lights, and speakers that activate to let people know of the danger in your area. •	Building safety apparatuses – Ventilation systems keep the air clear of smoke, and emergency exits (complete with lighting) allow people to safely leave the premises. •	Keep your fire equipment updated. This includes regularly refilling your fire extinguishers, replacing fire blankets, and maintaining your fire alarm system. •	Make sure the establishment is up to building code. Maximizing fire safety also means minimizing risks, and having a lot of flammable material in one place is the biggest. •	Drill everyone in fire safety and emergency procedures. 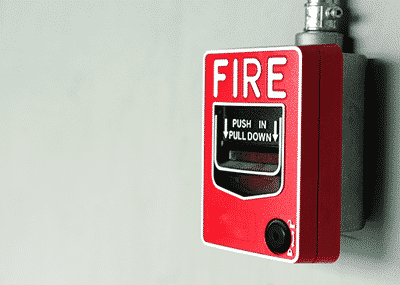 Make it a point to make sure everyone knows what to do in case a fire breaks out. •	Keep emergency exits clear and well-lit. An obstructed exit poses a hazard to everyone in the building especially if the main entrances are blocked. 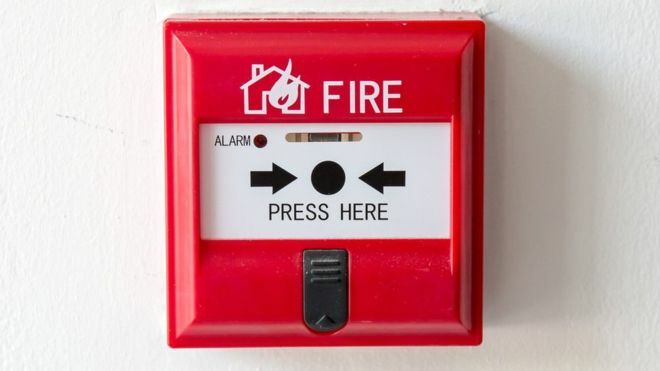 With a working alarm system as well as supplementary equipment and procedures, you can be fully prepared to respond to any fire hazard that comes your way.